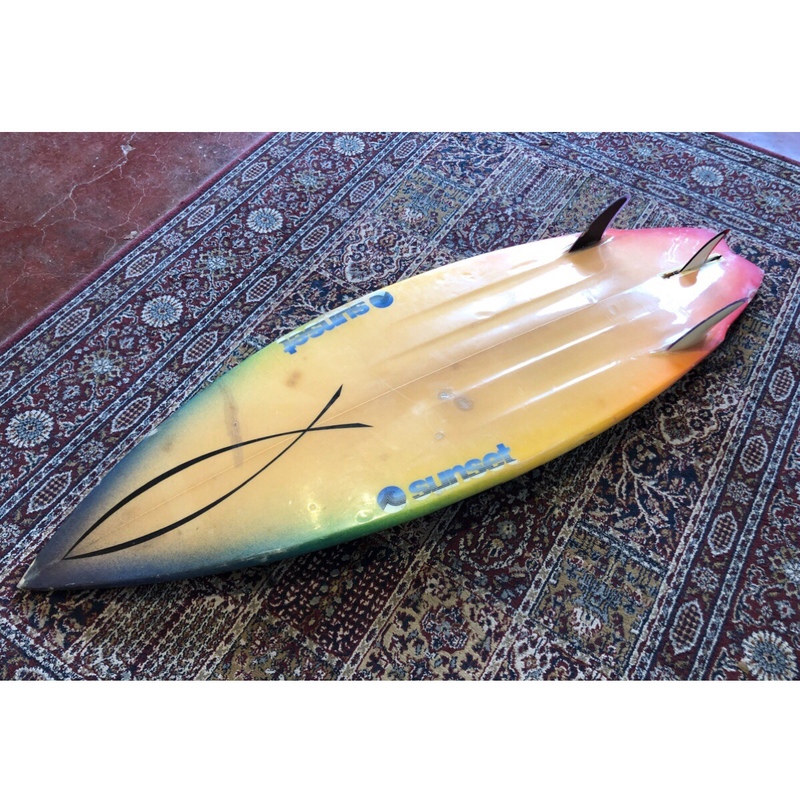 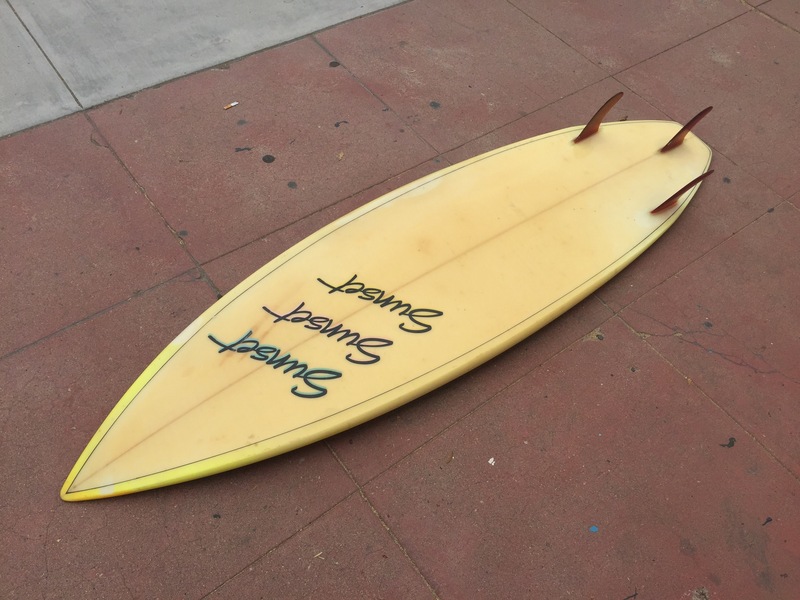 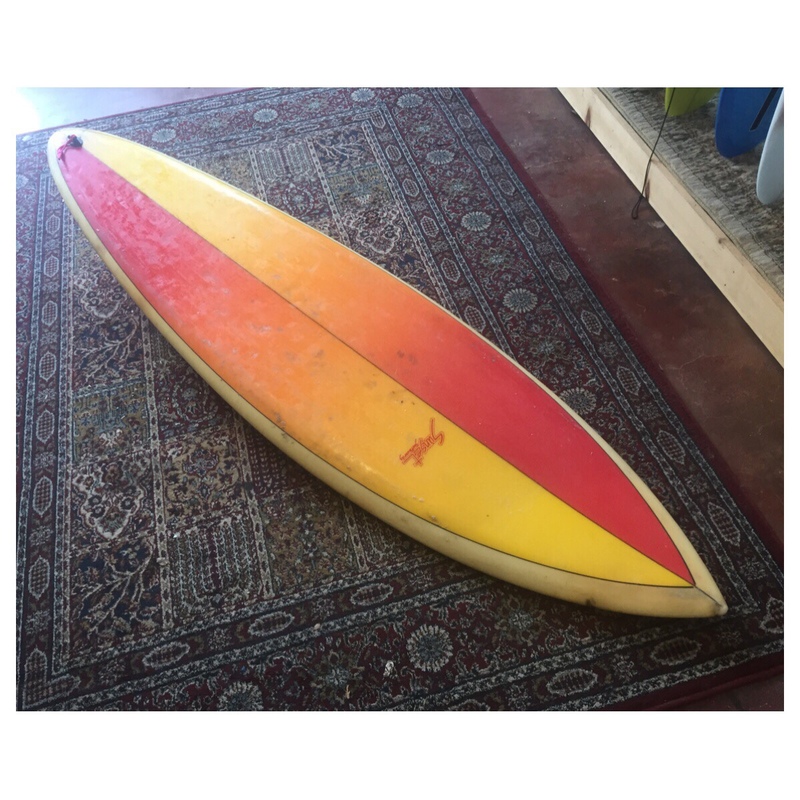 Check out this early 80’s Sunset Surfboard that wandered into the shop. 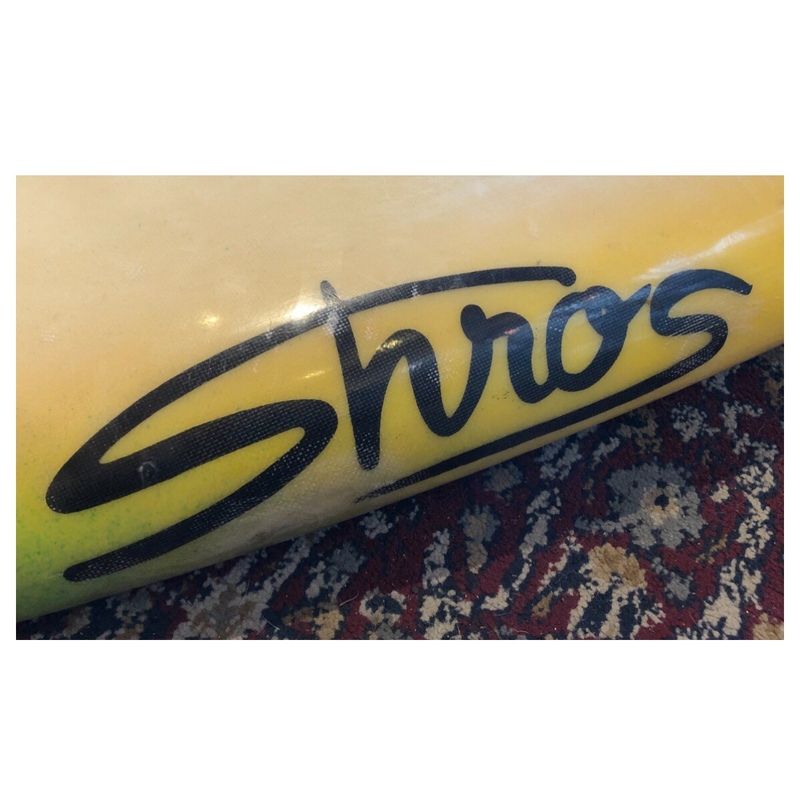 Shaped by the great Bill Shrosbree. 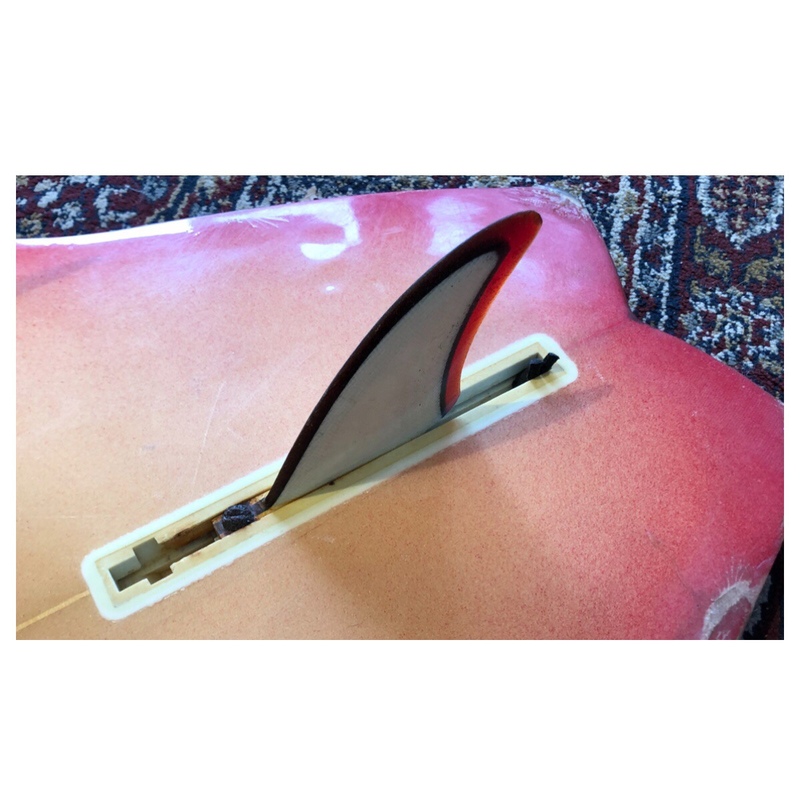 Early tri-fin days, original center fin intact. 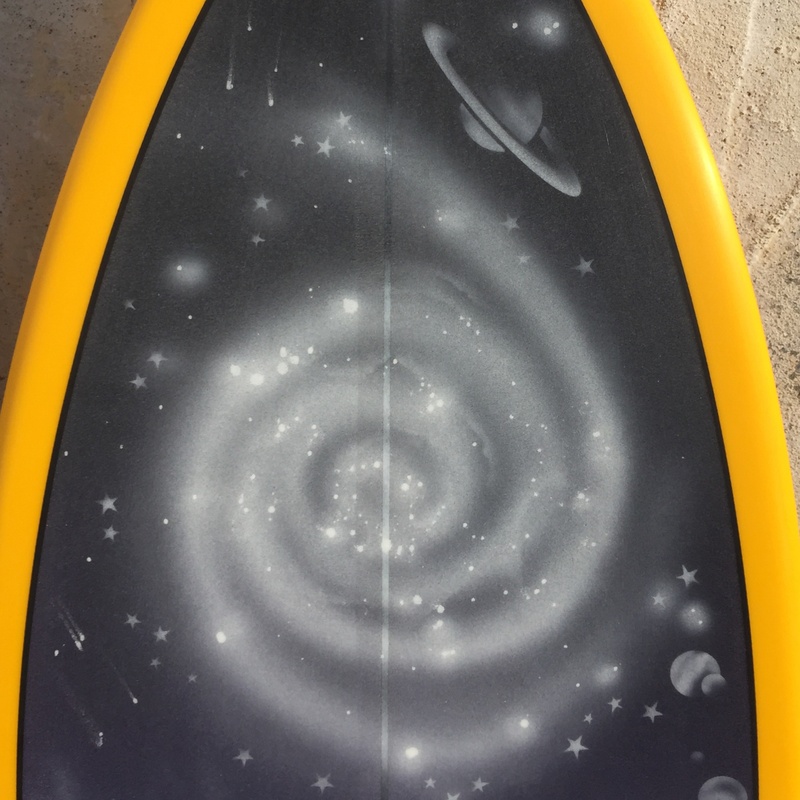 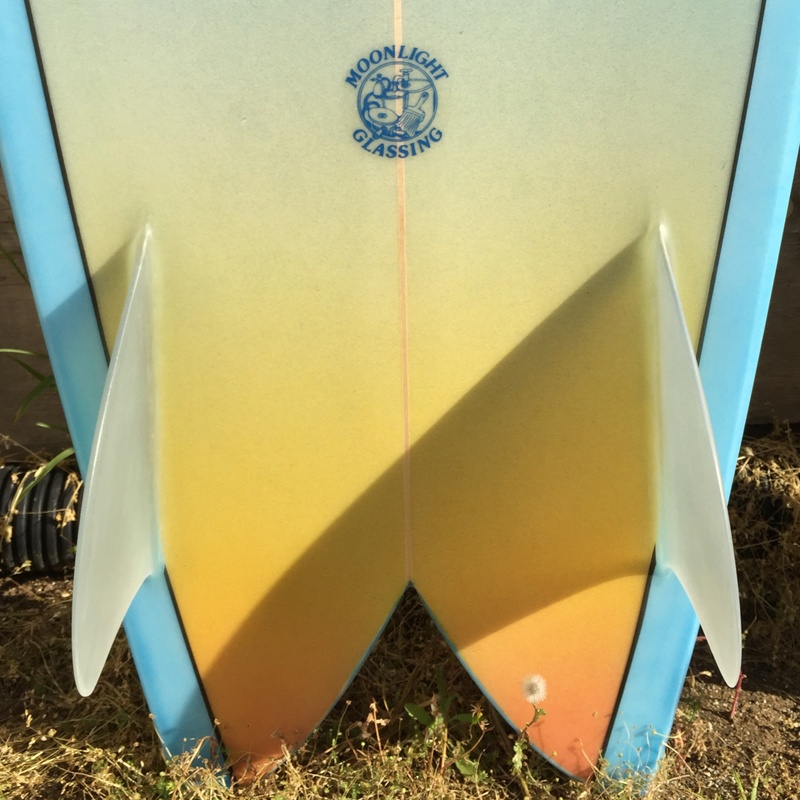 The ichthys design was pretty popular on surfboards in Encinitas in the 70’s and 80’s. 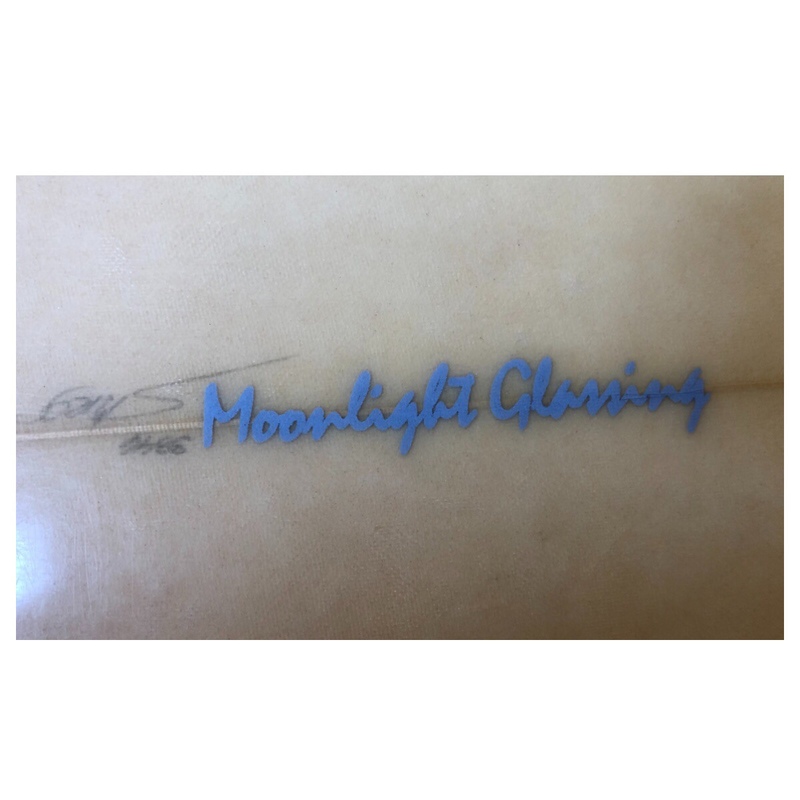 Rare Moonlight Glassing logo. 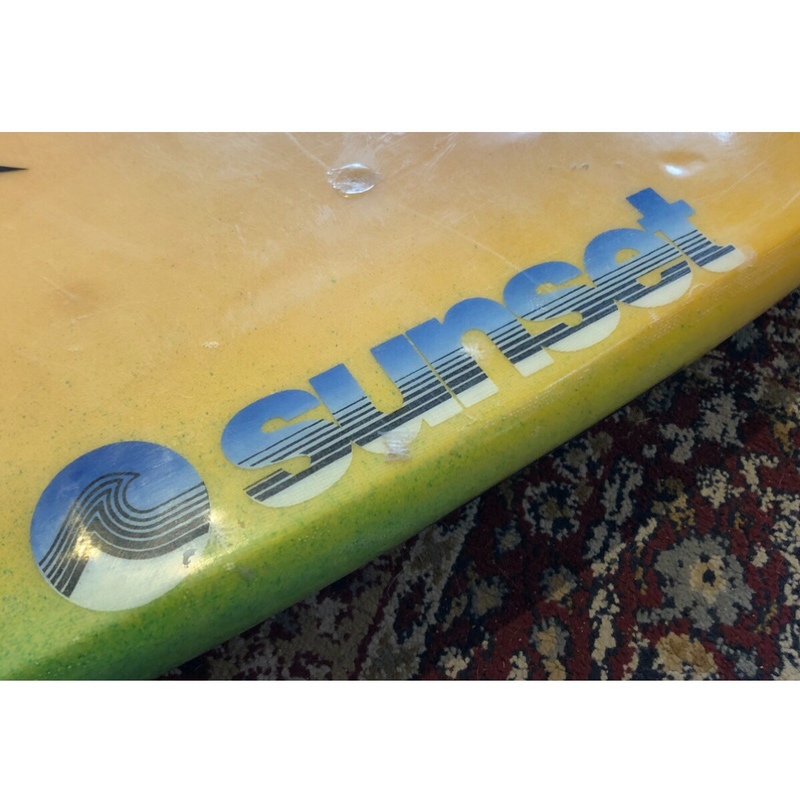 Sunset Surf Shop was founded by Ed Wright and was a local staple for decades. 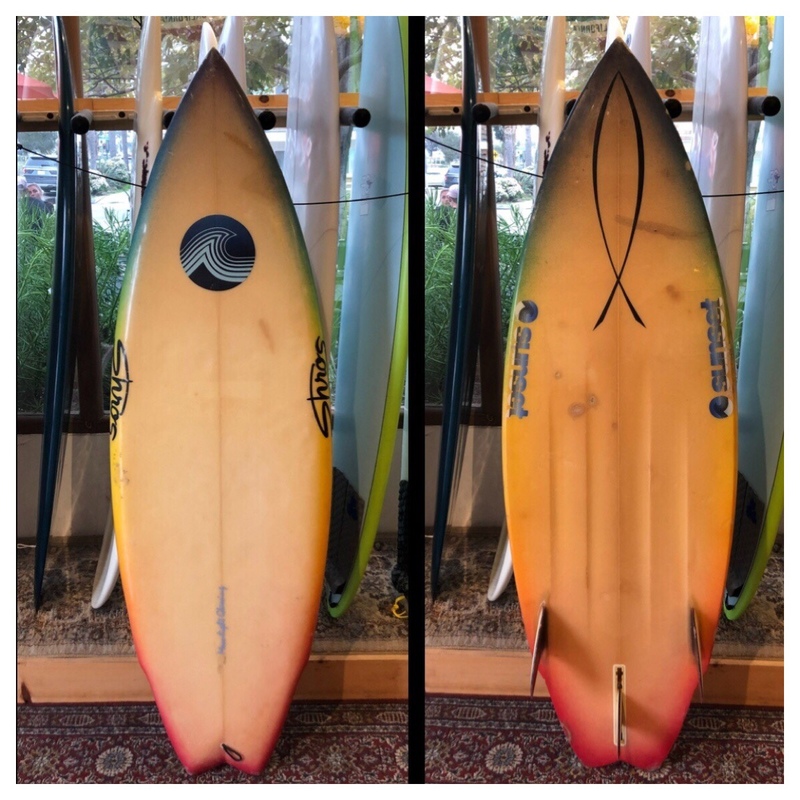 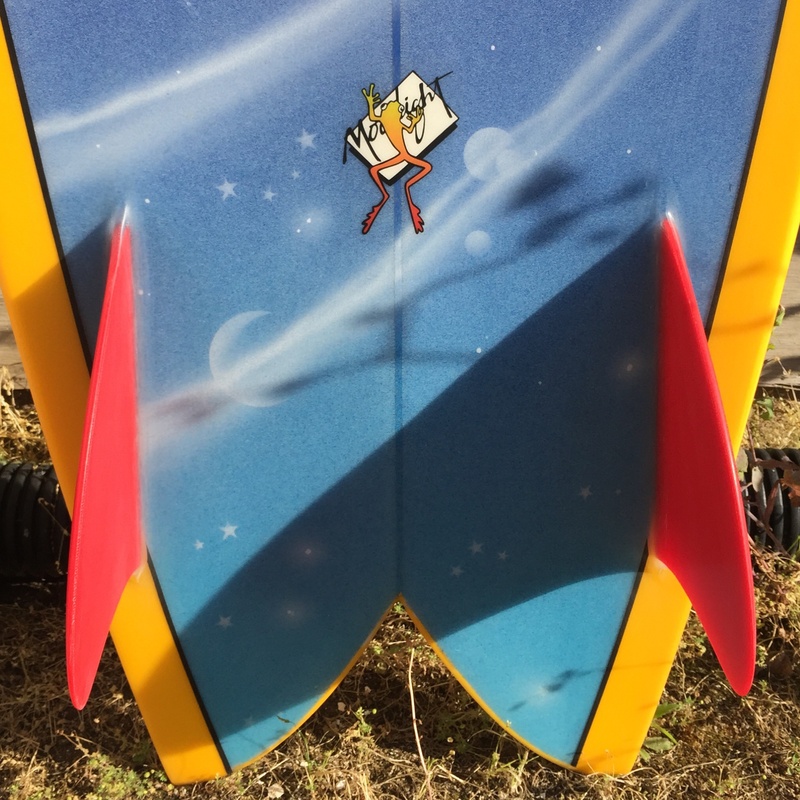 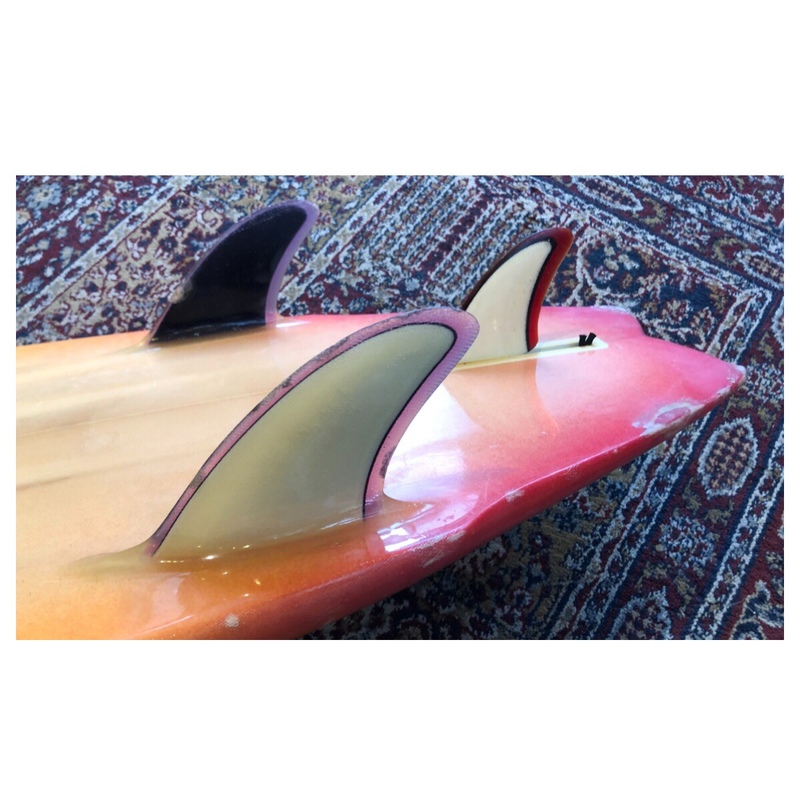 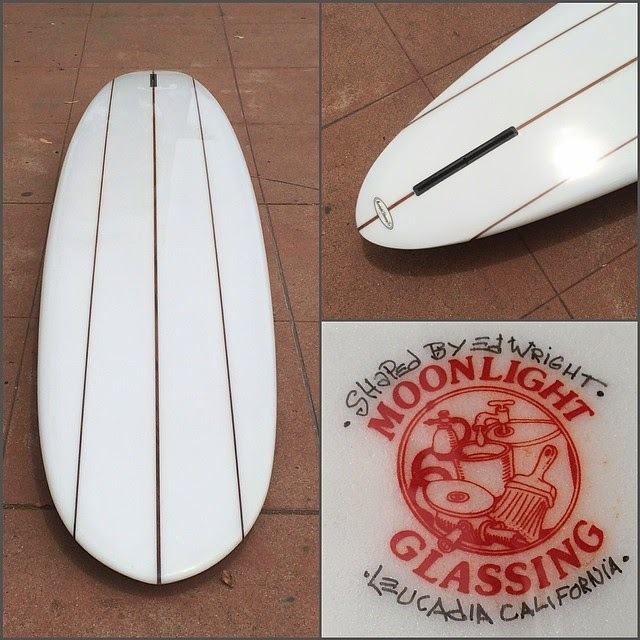 Shaped by Bill Shrosbree at Moonlight Glassing for the Sunset Surfboards surf shop in Encinitas, during the heydey of tri-fin-orama. 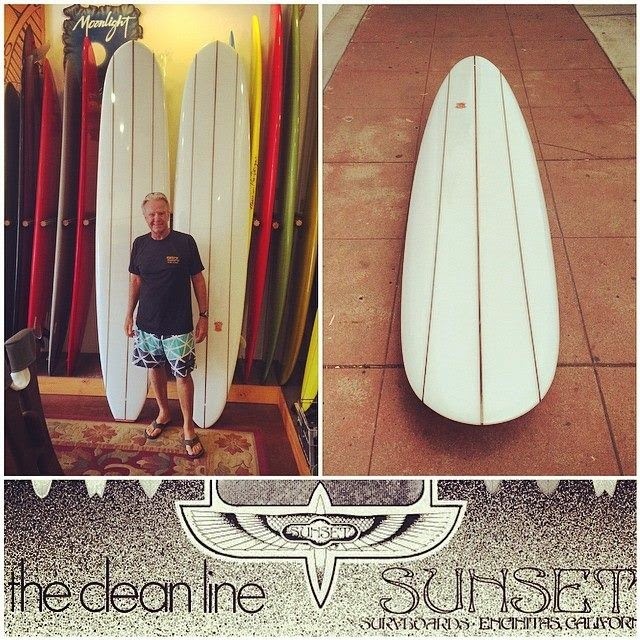 Ed Wright stopped by the shop this week. 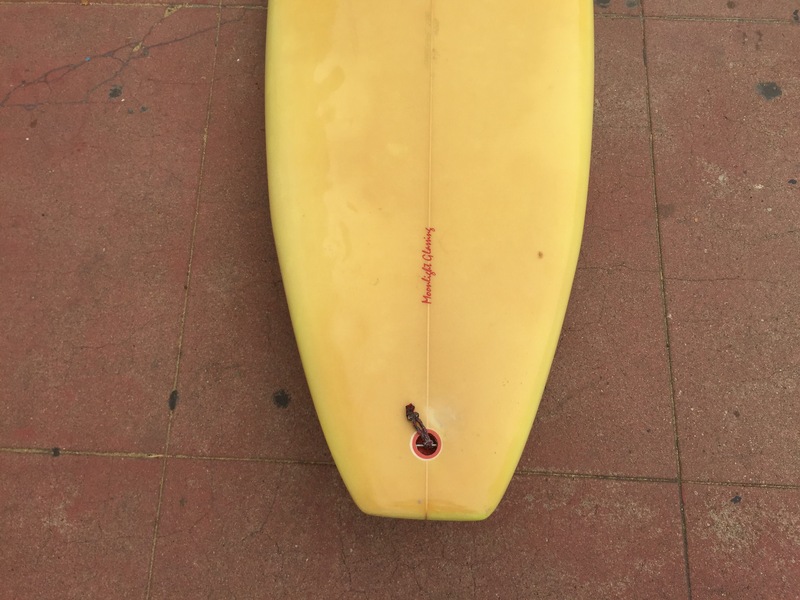 He just turned 69 years old. 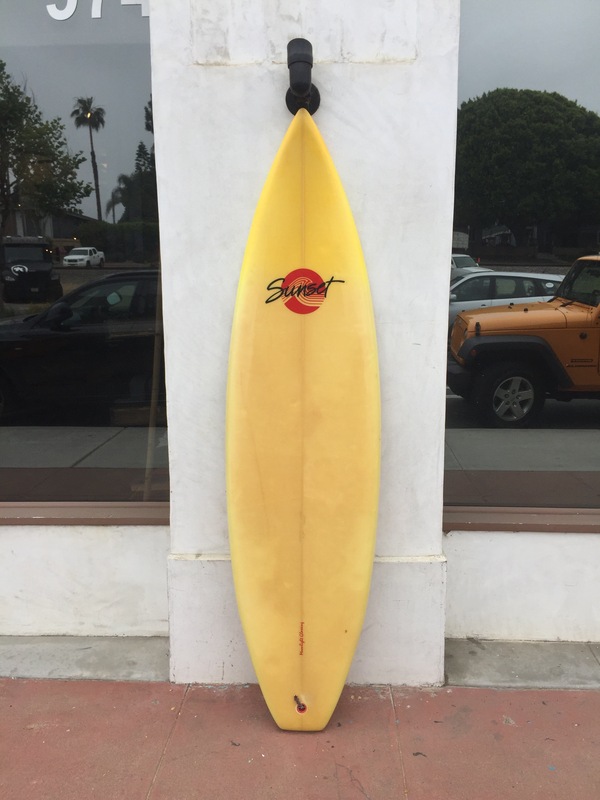 Ed founded Sunset Surfboards in Encinitas in the late 60’s, but before that he learned to shape surfboards in the very spot he is standing in the early 60’s when our building was Surfboards Hawaii. 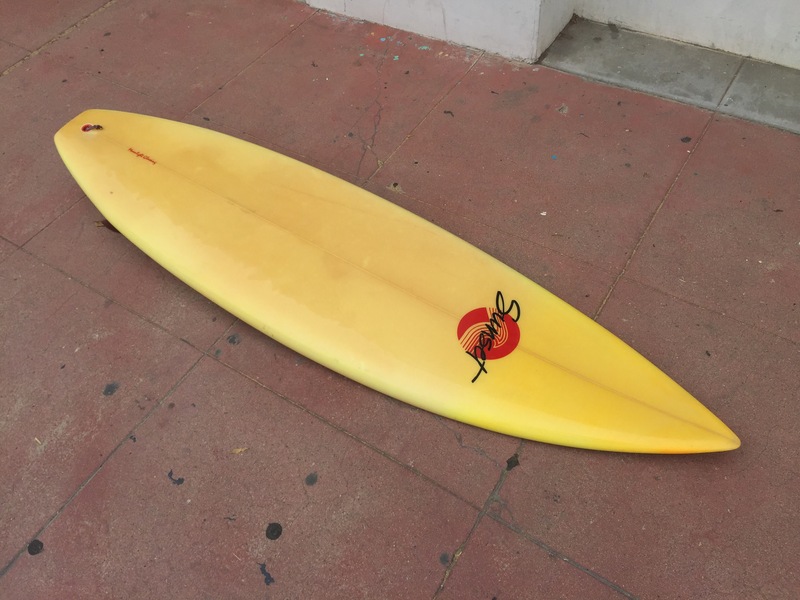 Soon after owner John Price moved Surfboards Hawaii to downtown Encinitas into the La Paloma theatre building. 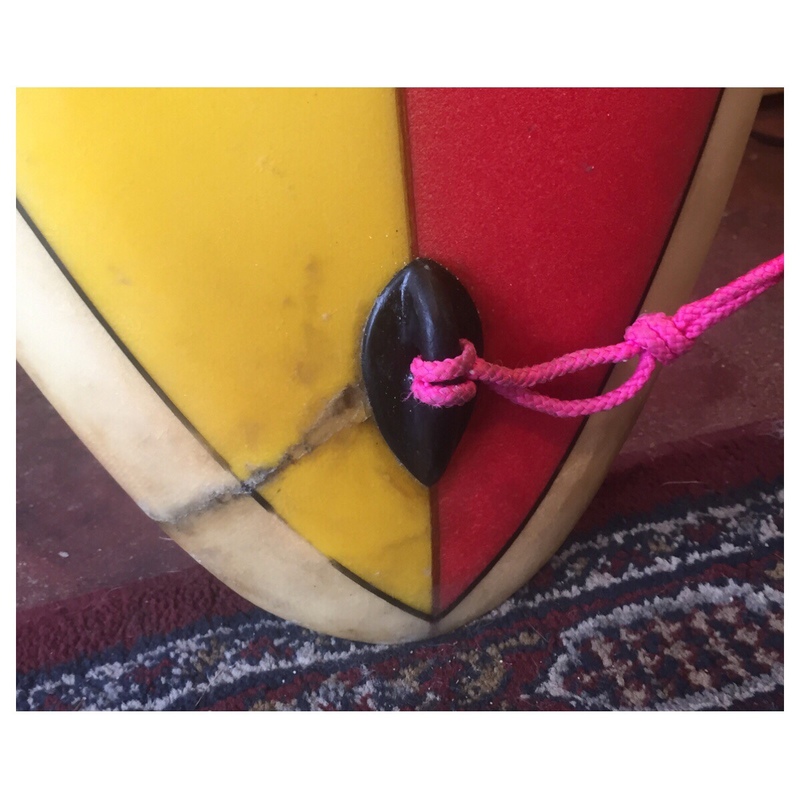 Ed worked there until starting Sunset. 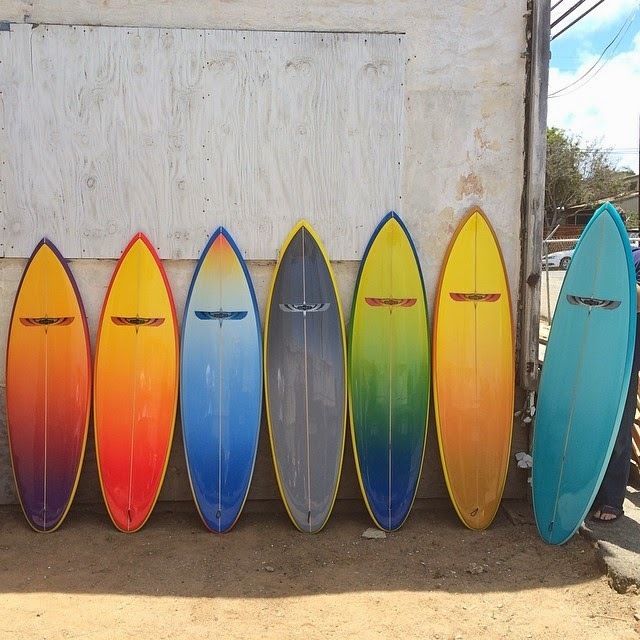 *side note, my Dad Peter St Pierre and my father-in-law John Smith also worked at Surfboards Hawaii. 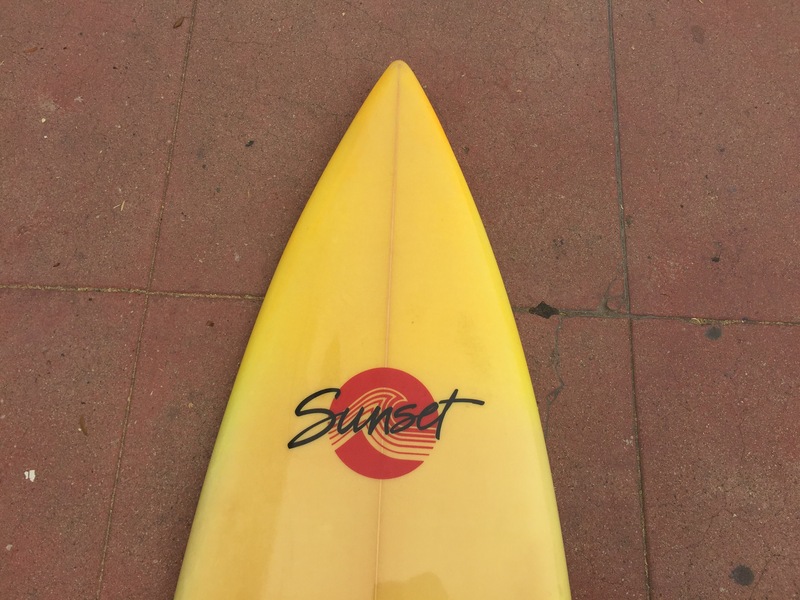 So did a guy named Al Merrick who went on to have a decent shaping career. 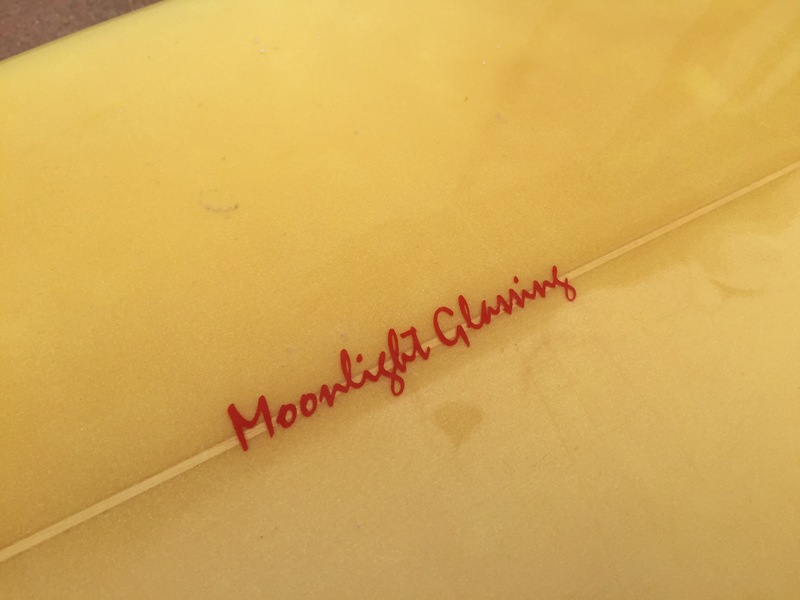 The Sunset factory crew formed Moonlight Glassing in 1979. 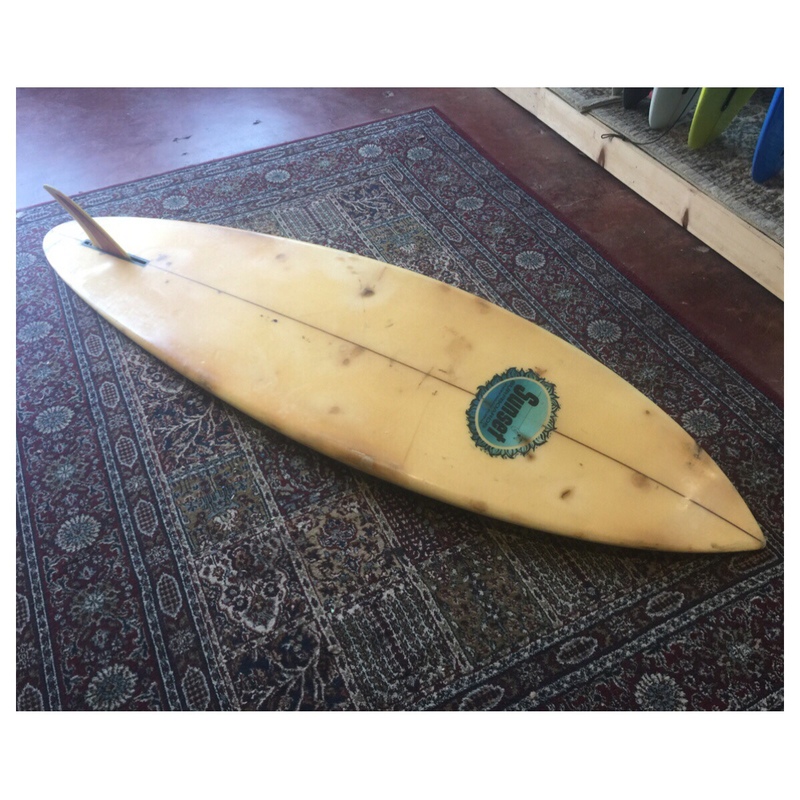 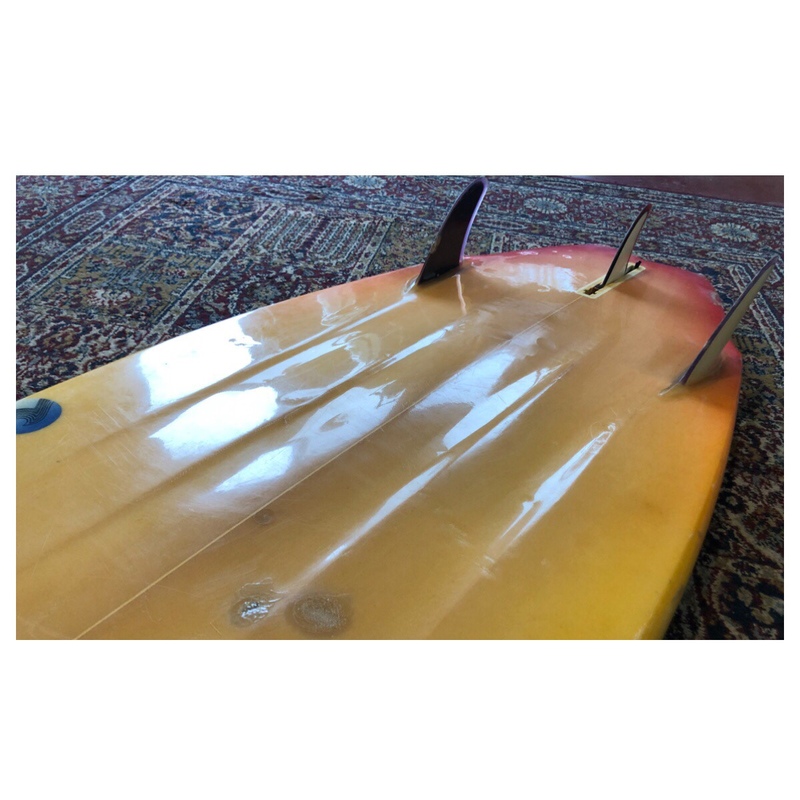 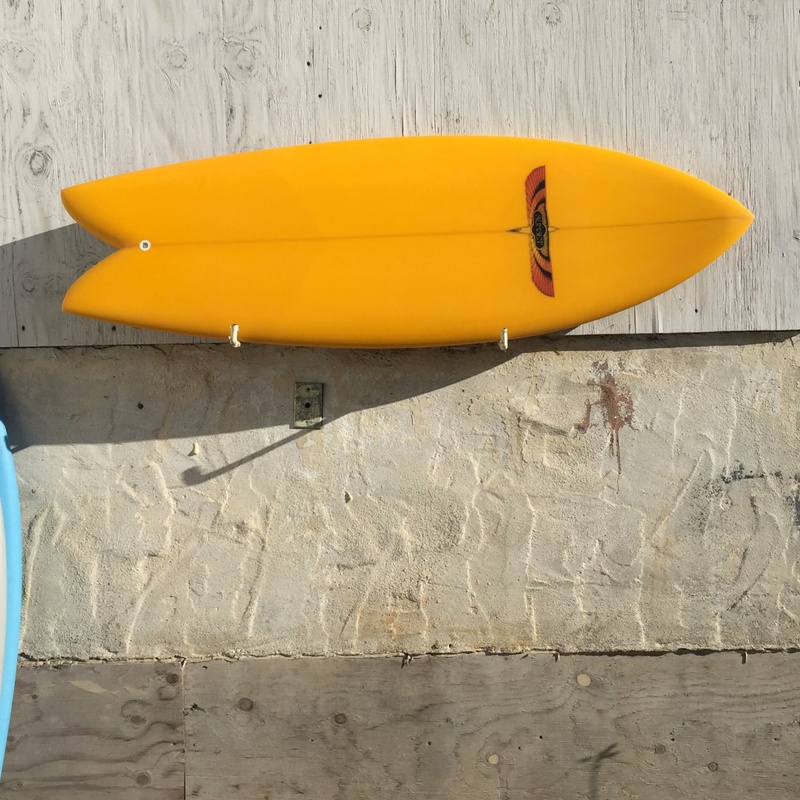 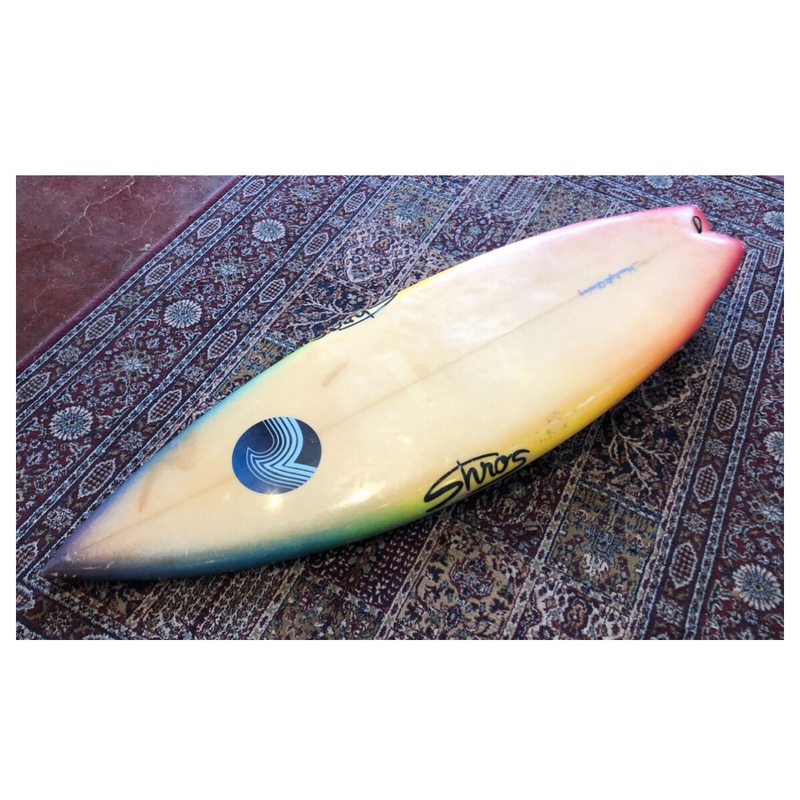 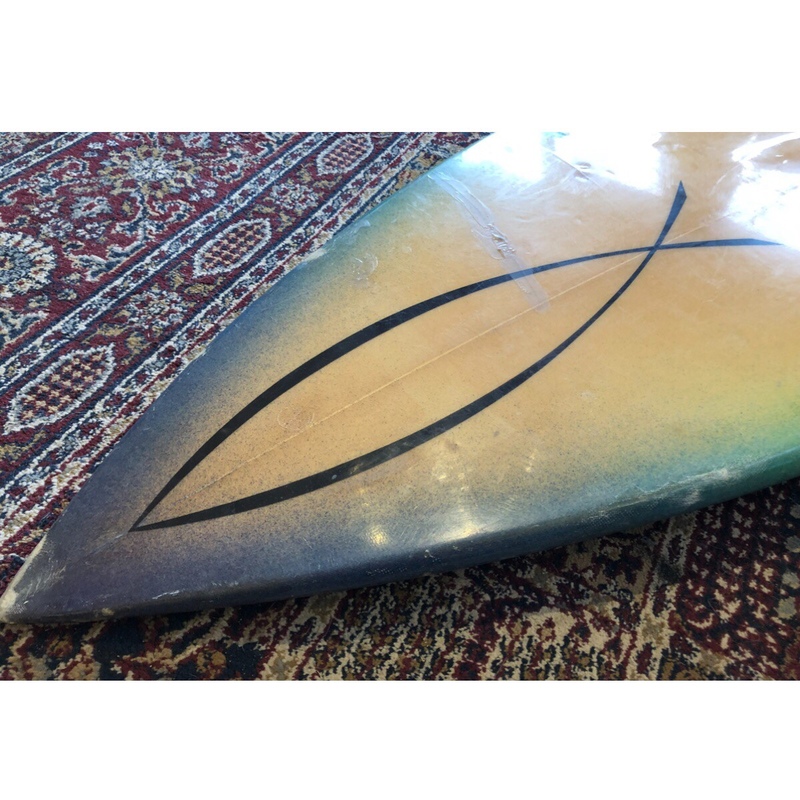 We currently have a couple of nice 9’6″ 3stringers Ed shaped in stock. 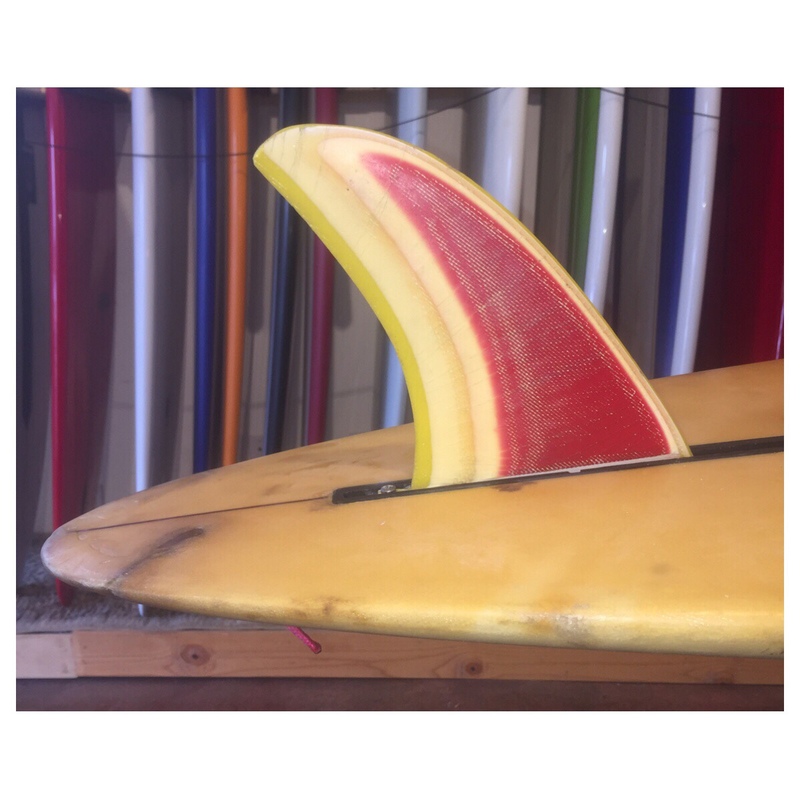 Roundpin and wood block square tail. 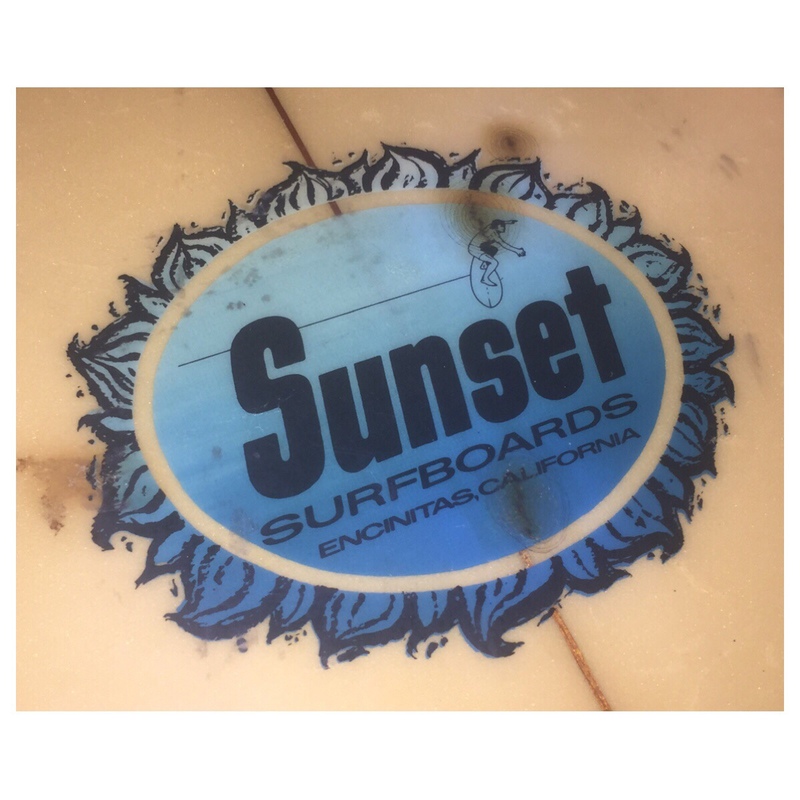 Both boards have rare original 1979 Moonlight Glassing logos. 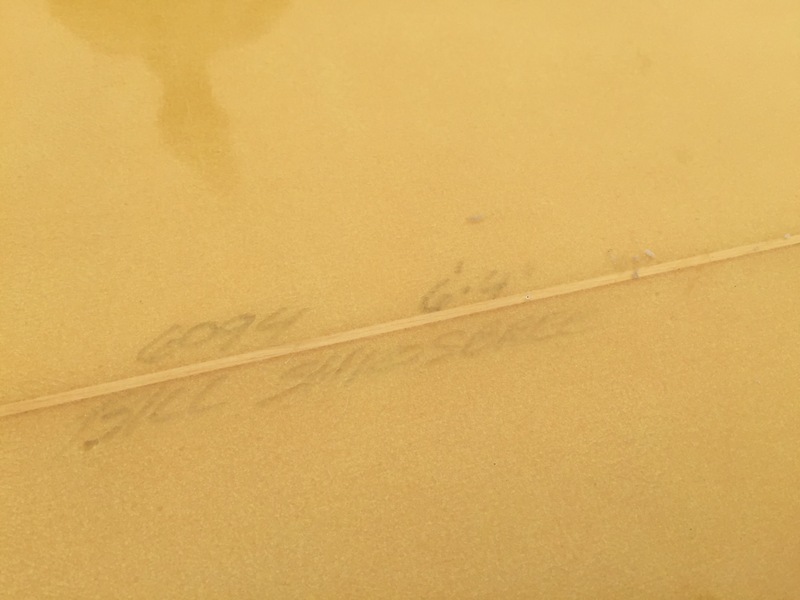 The 35 year old ink and rice paper actually glassed out okay. 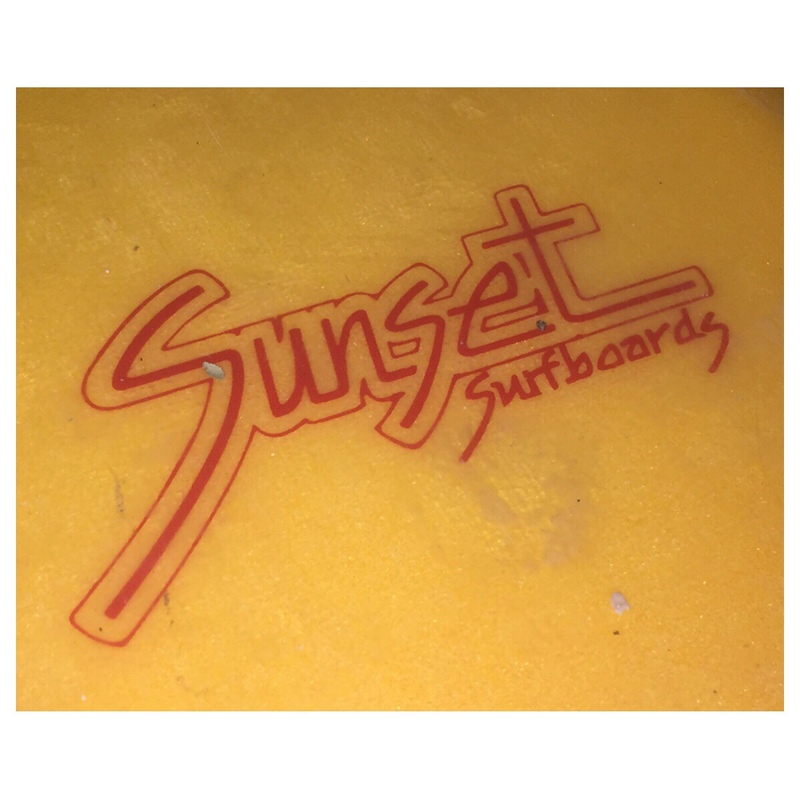 Surfy Surfy Surf Shop is inspired by Ed’s original Sunset Surfboards. 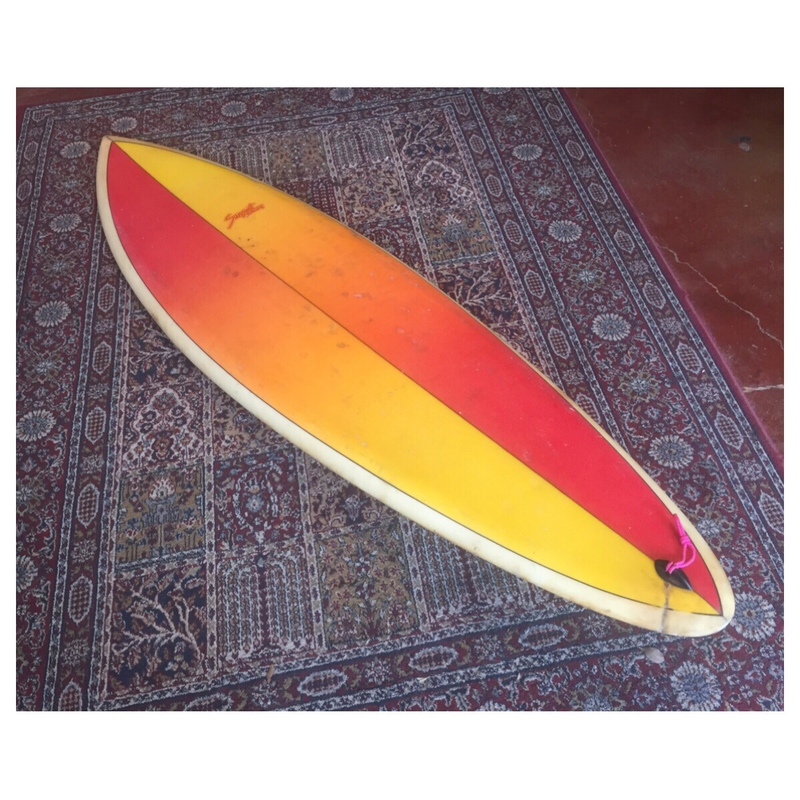 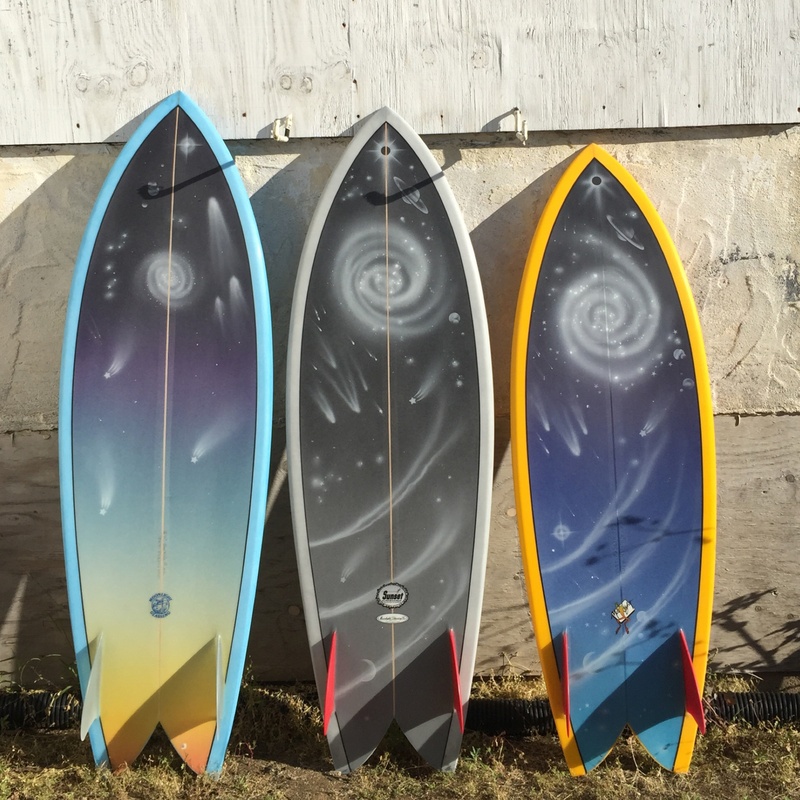 We also stock Sunset Surfboards by Ed’s protege Brian Fredrickson. 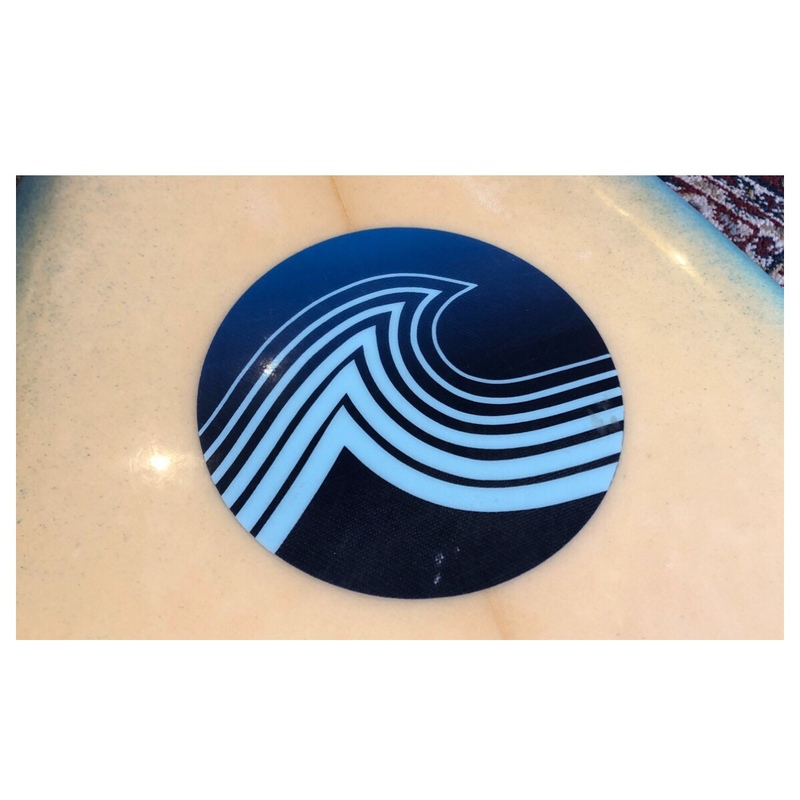 Full circle surf culture stuff!